Functional relationships between wastewater-induced predictors (e.g., organic carbon, OC) and amended soil properties are needed to develop pedo-transfer functions for wastewater-amended/-irrigated soils. 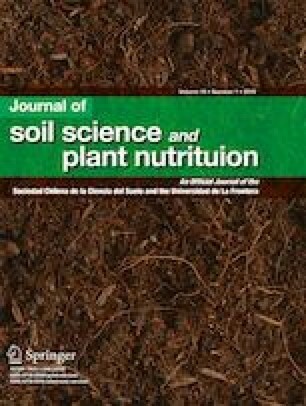 The objective of this study was to determine the impacts of municipal wastewater on soil health and develop functional relationships between wastewater-amended soil hydro-physico-chemical properties. The objectives were realized by conducting laboratory experiments on repacked columns of four typical agricultural soils. The soil columns, after primary settlement over 7 months, were conditioned by applying tap water over 6 months and then a typical quality wastewater in nine irrigations (total 90 cm, equivalent to irrigation requirement for three wheat seasons) over the next 8 months with an irrigation interval of 25 days. Each irrigation amounting 10 cm wastewater was applied in 5 days (2 cm d−1). Wastewater significantly (p < 0.05) elevated OC (13.85%) but reduced bulk density (3.73%) of the soils; bulk density decreased linearly with OC with a strong correlation (r2 = 0.90). The negative correlation between pore-size distribution index and clay content of the soils became significant (p < 0.05) after wastewater treatment. Plant available soil-water content increased linearly (r2 = 0.71) with increasing micro-porosity. The magnitudes of soil-properties change are however soil- and wastewater-type dependent functions. Municipal wastewater can be used to improve hydro-physico-chemical properties of soils and the strong functional relationships between wastewater-amended predictors (e.g., OC) and predictands (e.g., bulk density) can be used for designing and managing soil amendment and irrigation with wastewater. This study was done under the “VLIR-Own Initiatives” program with the Bangladesh Agricultural University at Mymensingh. This study was funded by the Belgian Directorate-General for Development Cooperation (DGDC) through the “Vlaamse Interuniversitaire Raad” (VLIR; Flemish Interuniversity Council) (grant number ZEIN2005PR317).